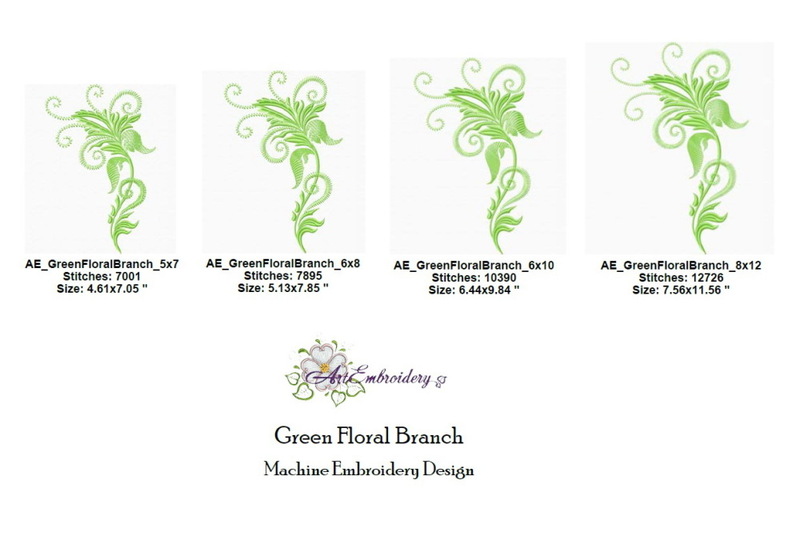 Green Floral Branch - 4 Sizes! 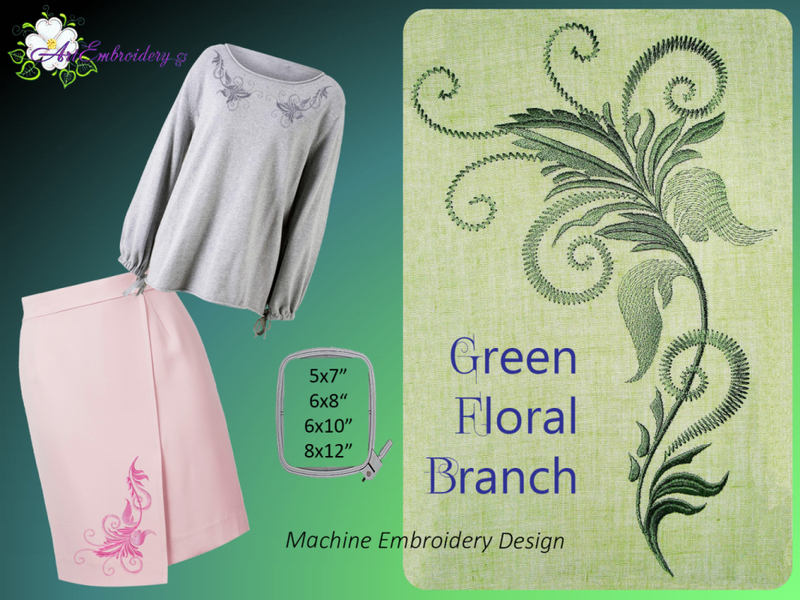 Design can be use for clothes embellishment , home decor projects any other creative projects. 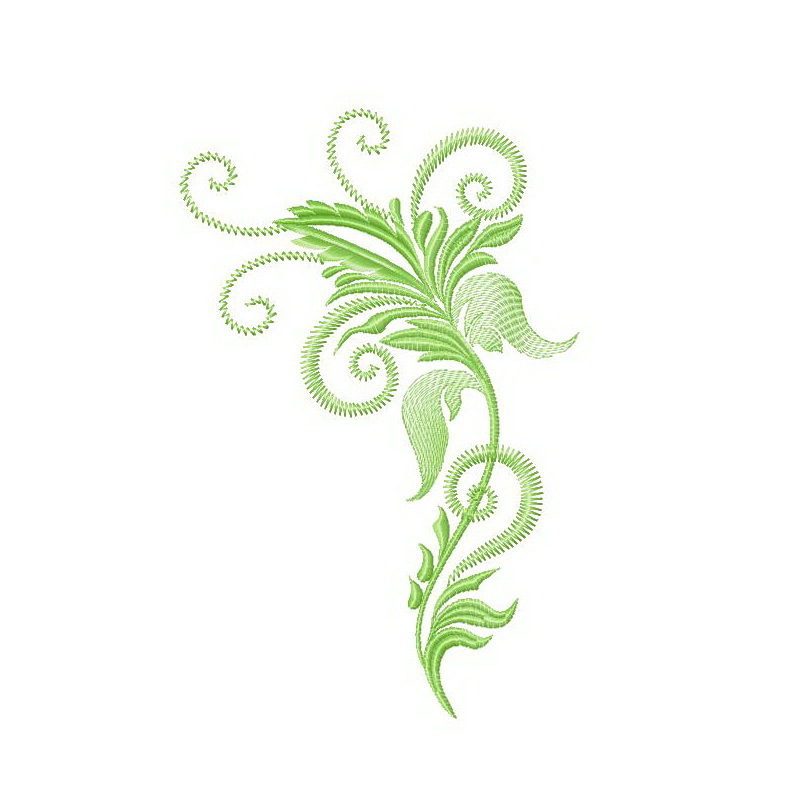 Art Embroidery is giving 15% off all purchases! Promotion ends on 04/30/2019. Earn 10 points at checkout OR buy this item for 186 points. Floral Calligraphic Alphabet - 3"
Finish Size 4.61" x 7.05"
Finish Size 5.13" x 7.85"
Finish Size 6.44" x 9.84"
Finish Size 7.56" x 11.56"